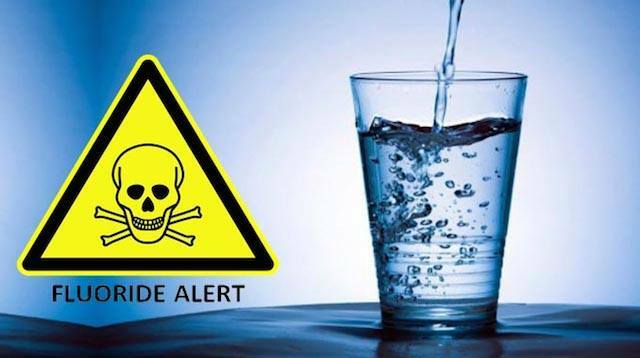 I live in Illinois and have started a campaign to rid our water supply of this dreadful poison. My website is http://www.FluorideFreeIllinois.org. I am not the only one fighting this battle as I recently participated in a conference call on http://www.aunetwork.tv/ (American Underground Network) with others championing the cause in Texas, New York, Vermont, Washington and California. We are all in various stages of trying to convince our lawmakers at the city, state and federal level to stop this unnecessary practice. Since 2010, over 64 communities in North America have rejected the practice of adding fluoride to their water supplies, including over 30 communities like Calgary, Alberta (pop. 1.3 million people); Pinellas County, Florida (pop. 700,000); and Albuquerque, New Mexico (pop. 500,000). It should also be noted that 97% of Europe does NOT fluoridate their water. The health related reasons for stopping fluoridation are abundant & if interested you can visit my website above for links to the volumes of research supporting its removal from our water supply. There is one additional thing I really wanted to stress that the general public may not be as interested in is the effects of fluoride on the Pineal Gland. As some of you may or may not know, the Pineal Gland is the seat of the soul. David Wilcock discusses its importance in his Source Field Investigations book and on his website. It has long been associated with esoteric knowledge surrounding the spiritual, metaphysical aspects of consciousness and the Self. Metaphysicians throughout the ages have called the Pineal gland the third eye. It is said that all the vital psychic energies are channeled from the other chakras to the gland and it allows you to commune with the Creator and positive force spirits in other dimensions. In the 1990s, a British scientist, Jennifer Luke, discovered that fluoride accumulates to strikingly high levels in the pineal gland. In fact, the calcified parts of the pineal gland contain the highest fluoride concentrations in the human body (up to 21,000 ppm F), higher than either bone or teeth. These studies have also found that calcified deposits in the pineal gland are associated with decreased numbers of functioning pinealocytes and reduced melatonin production. This all leads me to believe that the PTW (powers that were) have known full well what they were doing when they added fluoride to our water supplies. In addition to making money off of our health problems, they wanted to prevent us from achieving a proper connection with our Higher Self & spirit by disrupting our pineal functionality. This is one of the reasons I am currently campaigning against fluoride. If you are compelled to support a fluoride free world, please visit our website and sign our petition at Avaaz.org. It matters not if you live here in Illinois or in another country for that matter. All signatures are welcomed and appreciated. Feel free to share this information with friends and family. The elderly, babies and small children are especially at high risk to this exposure.